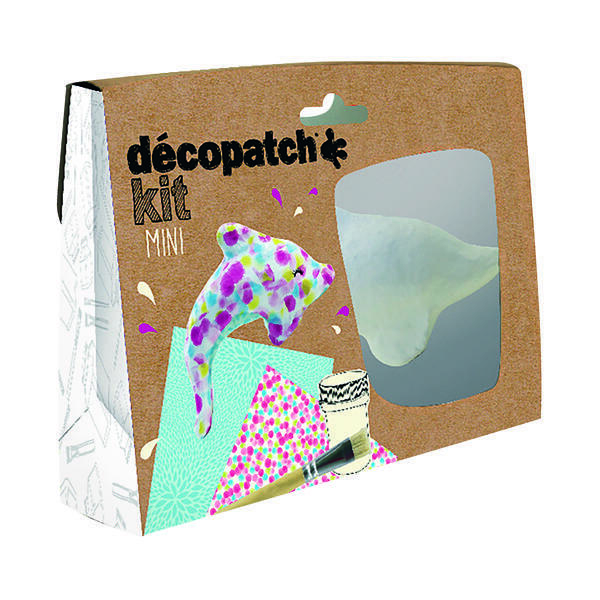 Perfect to encourage an interest in arts and crafts, the Decopatch Dolphin Mini Kit will keep children entertained for hours and includes everything required to decorate and personalise your Mache dolphin. This kit includes 1 Mache dolphin, 2 sheets of Decopatch paper (30x40cm), 1 small pot of glue, and 1 brush. This pack contains 5 Dolphin Mini Kits.